DIY: Ripped Knee Jeans | RAWR BOWS. Hello people! A few days ago I did a post on ripped skinny jeans, I think that shows you how much I love them. I think they look great on everybody and give a nice twist to the typical skinny jeans. However, many stores sell them at a quite high price. I don't know about you buy I'm not willing to pay 40€ for a pair of ripped jeans when a pair of regular jeans are 19€. That's why I decided to do them myself. Step One. Try them on and draw a think line where your want your holes to be. Step Two. Take them off and start cutting along the line. I did a simple straight cut but if you want you can do it a bit messier. Step Three. Using either a nail file or sand paper make your cut look a bit messy or alternatively put them in the washing machine so that the threads com off the fabric. That will give your jeans the ripped effect. And you're done! This will literally take you 5min and you will be saving a lot of money! I may have to try this on my old black jeans! They look brilliant! 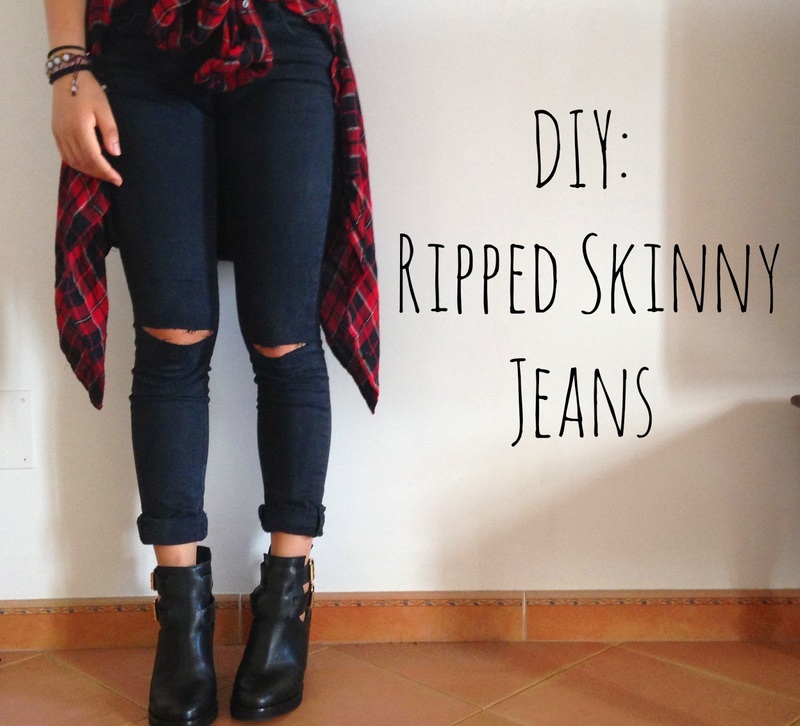 I love DIY ripped jeans, they look so much more authentic than shop bought ones!